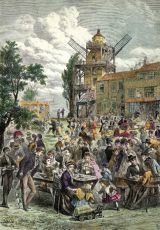 Following the French fashion for salt water bathing, people came to Gravesend to bathe in the river. 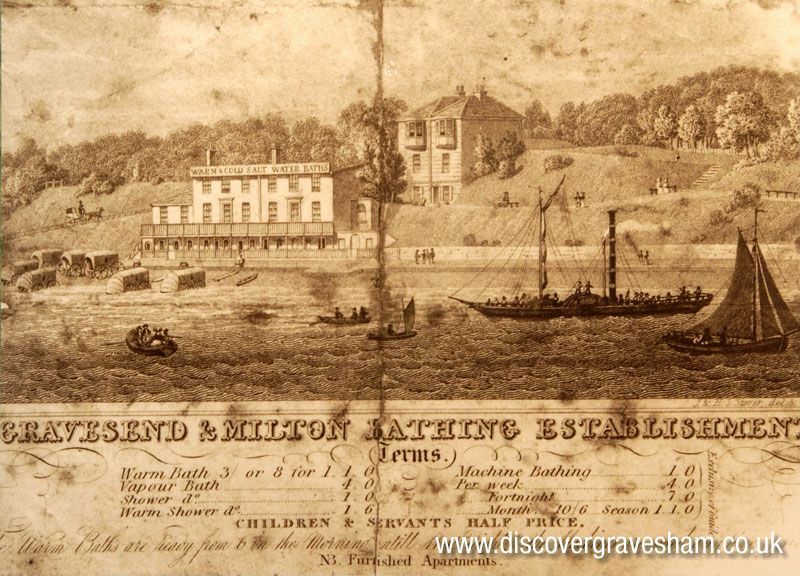 Bathing machines were introduced in 1796 and the Clifton Baths were built. Visitors flocked to the town on the new paddle steamers. Elegant gardens were laid out at Rosherville and opened to the public in 1839. Windmill Hill offered a glorious view out over the river. 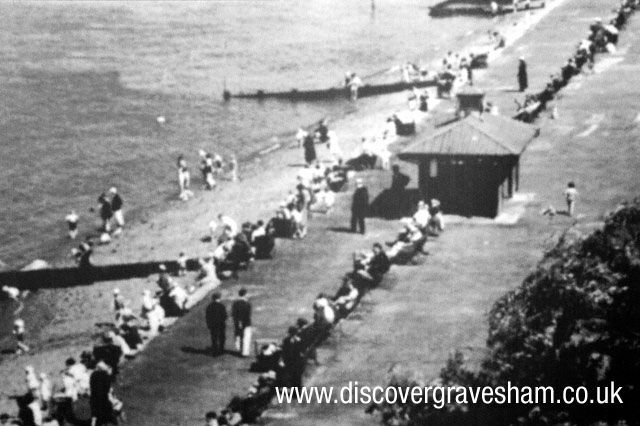 On the Gordon Promenade visitors enjoyed donkey rides and teas of local shrimps with watercress and bread. In the 1840s the town attracted more than a million visitors in a season. 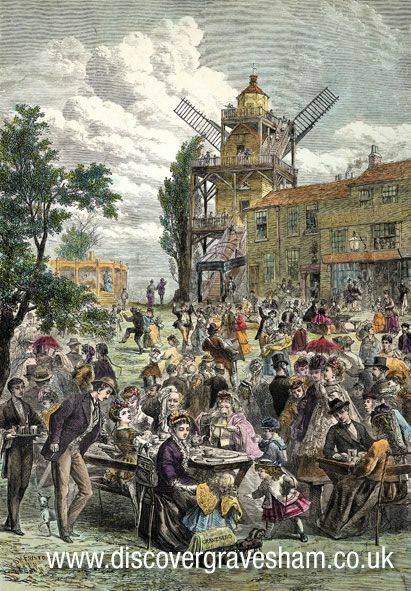 Then, as the railway extended along the coast to Margate in the 1860s, trippers began to prefer the seaside and fewer visitors came to Gravesend.